Frankly man, what you see as a "poor excuse" is irrelevant since you're not the one trying to sell the product. 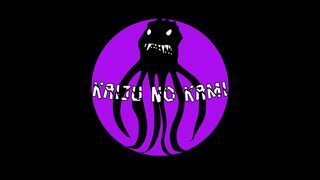 If you aren't willing to accept that "Halloween, Alfred Hitchcock, Friday the 13th, Child's Play" are all more successful "brands" than a series of British Dracula movies made in the '50s and '60s then I'm not sure what to say. As Tom pointed out, negotiating with multiple entities is generally going to be expensive (for starters that's more deals to make). Factor in that the titles you're acquiring are very "niche" and could probably turn at best a very slim profit. I'm sorry you don't like that but that's just how this business has always worked. And Shout Factory is already releasing Hammer films, just the ones that they've been able to license, which excludes the ones already released by Universal, Mill Creek (licensed from Sony), and the ones from WB. 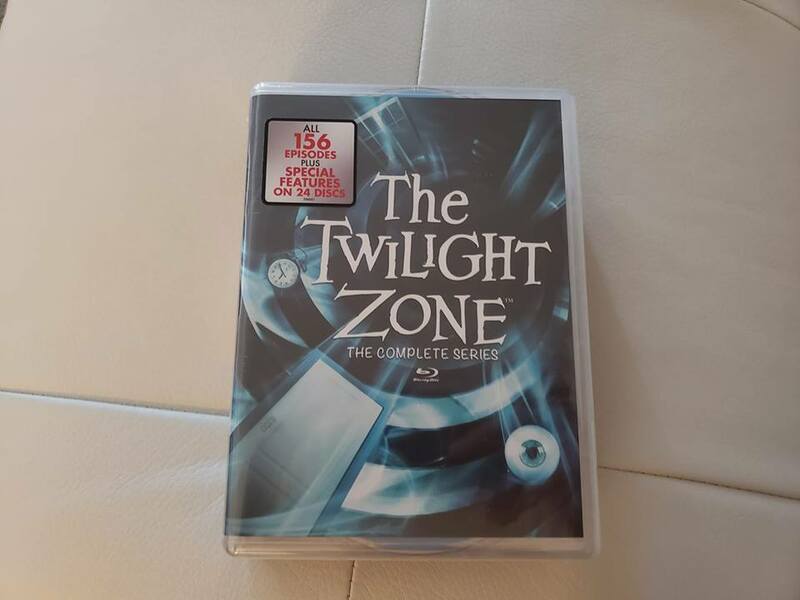 Shout Factory wanted to pull all these things together they would have done so. I'm just happy that these vintage titles are all beginning to get releases. 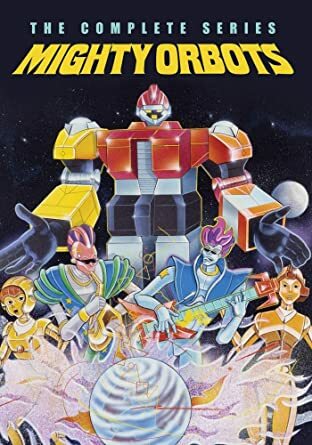 For a while there it seemed only 80s genre titles were surefire bets to get blu-ray releases because of their enormous nostalgic pull these days. Spider-Man Into the Spiderverse 4K BD/BD/Digital for me. 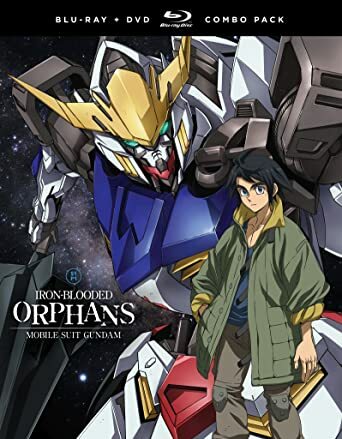 I can't wait to rewatch this. When I went to take my niece and nephew to see it back in December we had some annoying kids behind us, being loud and obnoxious so I couldn't properly enjoy the film. ^ When I saw Spider-Verse there was a guy a few seats away from me who kept noticeably spazzing out every other minute. I was afraid to say anything in case the guy had legitimate issues. tbeasley wrote: ^ When I saw Spider-Verse there was a guy a few seats away from me who kept noticeably spazzing out every other minute. I was afraid to say anything in case the guy had legitimate issues. Not for Spider-Verse or anything like that, but last night when we went to see Us at the Drafthouse they were showing clips from Vertigo during the preshow and this couple next to us kept laughing every time they showed one of the movie's effects sequences as if there was something hilarious about them. I really want to get Spider-Verse on BRD, but I feel unfortunately with its (well- deserved) notoriety , comes inflated price. I'm pretty sure had this film not been an award-winner, it would have been released in the 15-19 dollar range. As much as I enjoy this film, I'm not willing to pay more than $20 for any single film anymore (The main reason why I'm behind on so many things). Anyone know where this can be purchased for under $20?...If not I'll wait, but I was just curious. Finally picked up Rampage. Its a fun movie. 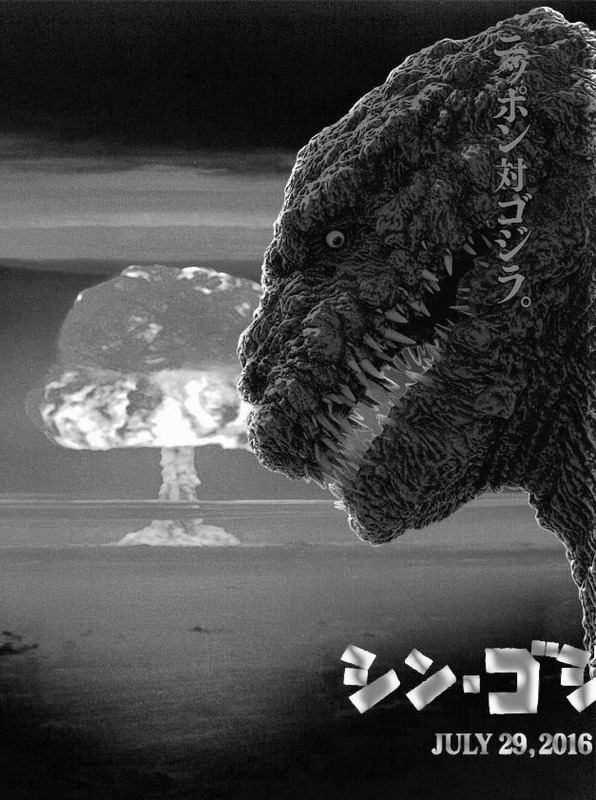 The Rock and Giant Monsters. I just wish there was more Ralph in this. I picked up the Aquaman 4K BD/BD/Digital release from work tonight and ordered Transformers 4K collection on Amazon. 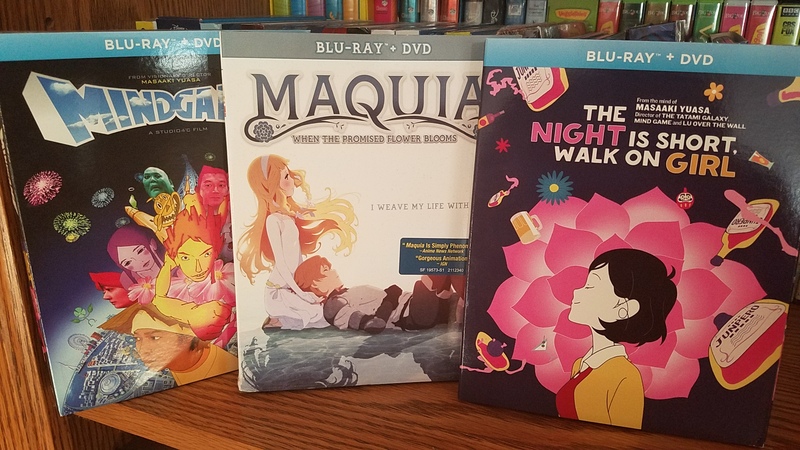 Mind Game and Maquia were actually blind buys; I don't usually do that but I'll sometimes take a gamble. Sadly, I didn't quite like Mind Game, so I'll probably sell it off later. 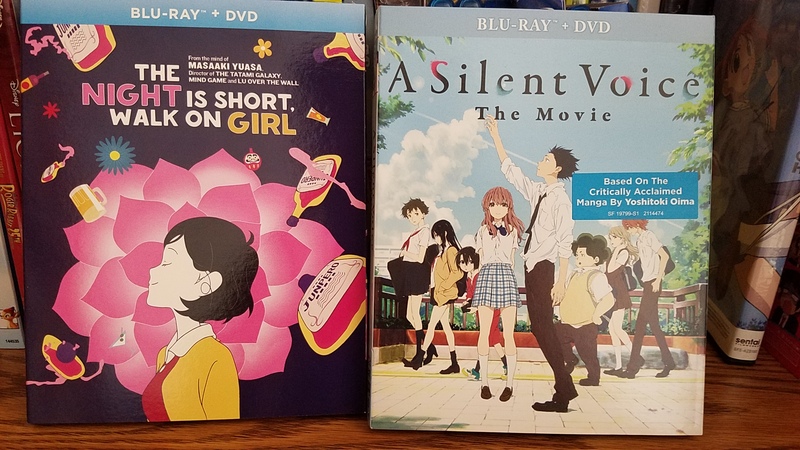 I actually have a second copy of Night is Short and two copies of A Silent Voice coming sometime soon (different sites, different prices), so I'll sell the duplicates too. I still haven't watched Maquia. I saw Incredibles 2 selling for under $20 at Target, which I don't expect to see again soon; and the Mickey Mouse Blu-ray was $16 at Meijer - another blind buy, but with Steamboat Willie and others on there, I trust this will be a good purchase! 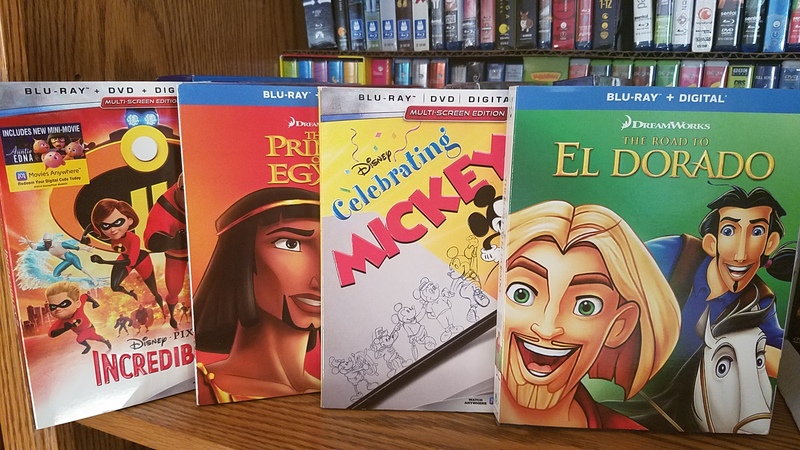 The two Dreamworks films were going for a good price at the time, and having just revisited The Prince of Egypt, I was chomping at the bit for a Blu-ray release. I haven't plugged in either disc yet, however. The Disney films were favorites of mine as a kid, and after revisiting them for the first time in a while last year, I felt compelled to get my own copies. This was the best price I'd seen so far. 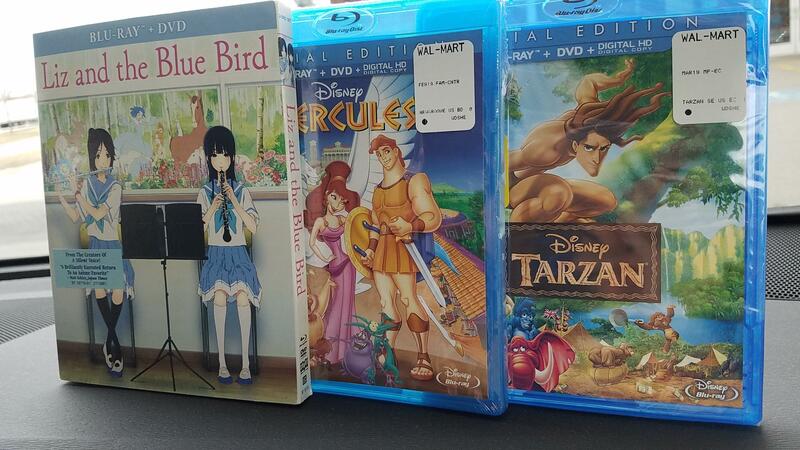 Liz and the Blue Bird, meanwhile, was a pleasant surprise I couldn't resist for the price. I didn't like it as much as A Silent Voice, but it was still a solidly made movie that I think might be worth showing to my friends sometime. ^This order arrived today. I now have two copies of Night is Short... But I am just SUPER pleased to finally own the other. There's a deluxe release coming down the line, too, and I just might splurge for that as well. I'm not usually like this - but I'm not usually enamored with a film the way I've been with A Silent Voice! ^^ I need to get that best of Mickey compilation! Any classic Disney short animation is super-rare on Blu-ray. I'm not going to wait for complete collections or anything like that, but I wouldn't mind them doing some equivalent volumes for Donald and Goofy and whatever. Speaking of which; the first volume of 1940's Popeye cartoons the Warner Archive put out was apparently a big seller, so there's already a lot more classic animation in the pipeline for the Archive! 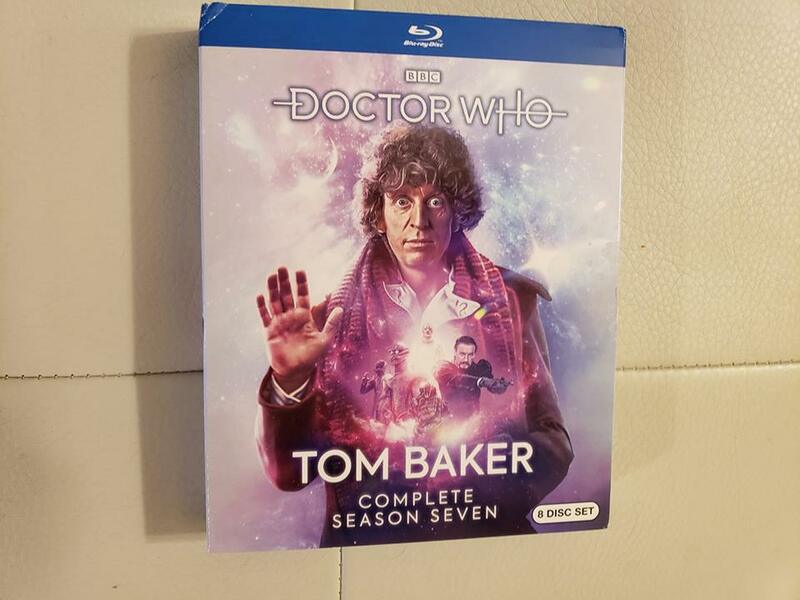 Well, I also had $15 in Amazon rewards points I'm going to be losing when I deny the renewal of my Prime account next week, and since they had the set on sale for $58, I figured why the hell not. It will be my final Prime purchase. What shocked me is I ordered it around 9 this morning and they delivered it about 40 minutes ago. Think I'll have the ability to punch people's skulls in after watching these? Just got Spiderverse & Aquaman Blu Ray/DVD/Digital combos. 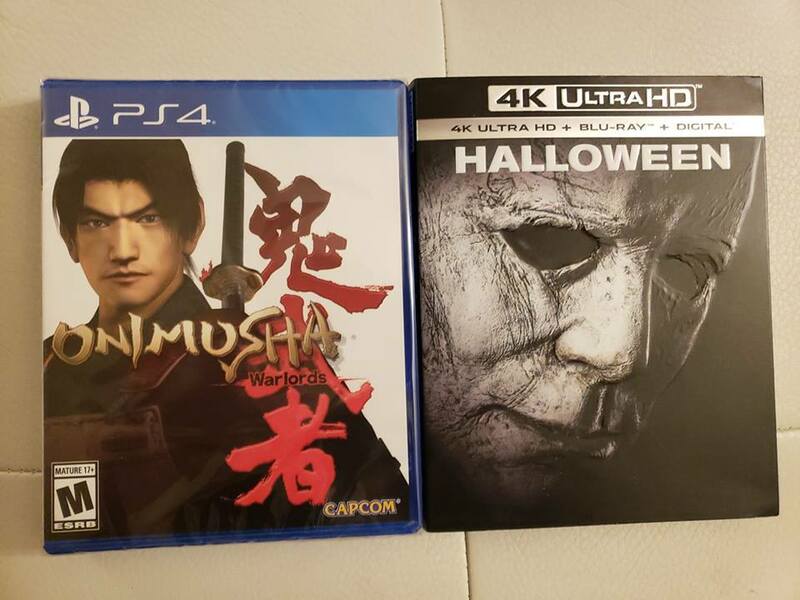 Both were on sale for $15. This was at Target, though oddly, that price was not advertised anywhere, I just happened to see it online, and in store price was the same. Amazon has them for the same price in case you don't have a Target near you. I picked up Dragon Ball Super: Broly at Wal-Mart this week -- nice movie, I like the way it brings Broly into the Dragon Ball universe (this movie happens in the main story, IE it's canon). 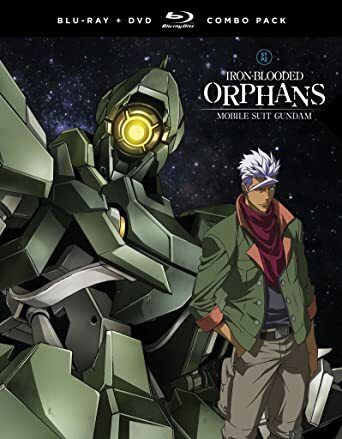 I ended up picking the movie up at Wal-Mart because you get an Instawatch digital copy (Vudu) of the movie, the "digital copy" that comes in the case is just for Funimation's own service (which I'll probably sign up for too, but it's nice having the ability too watch the Vudu copy easily most anywhere).